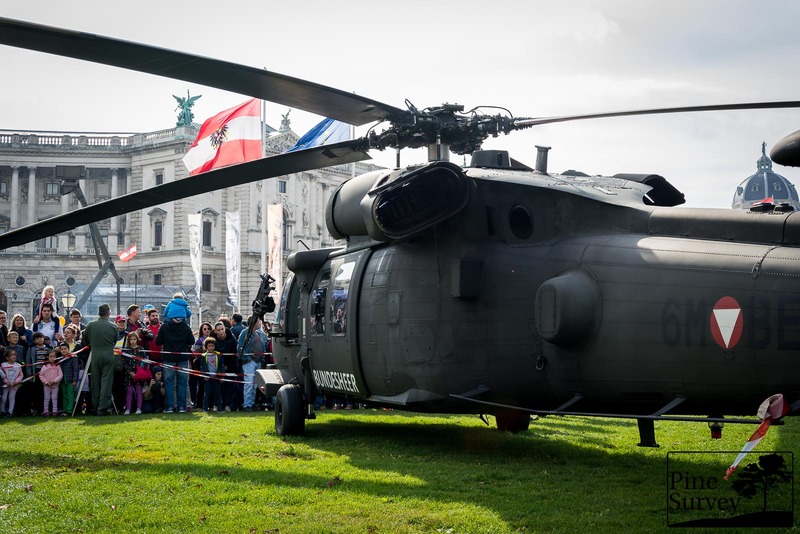 As always, the Austrian Armed Forces did showcase their capabilities and troops in celebration for Austria’s national holiday. 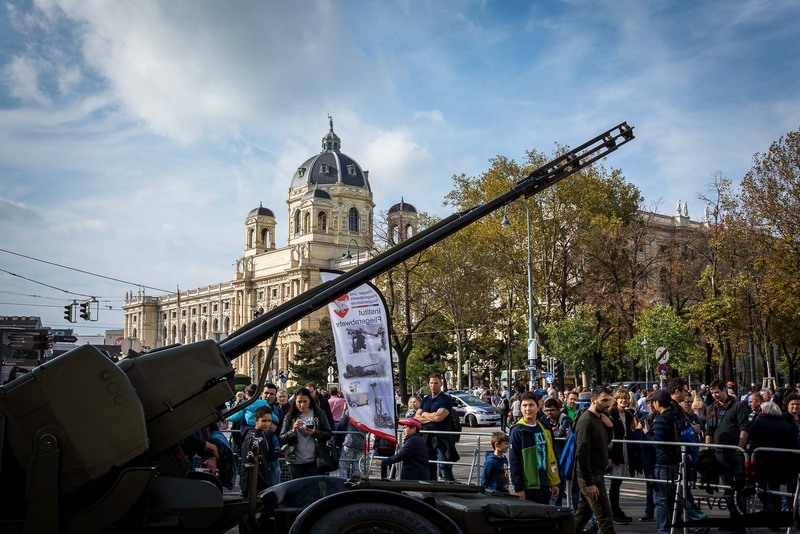 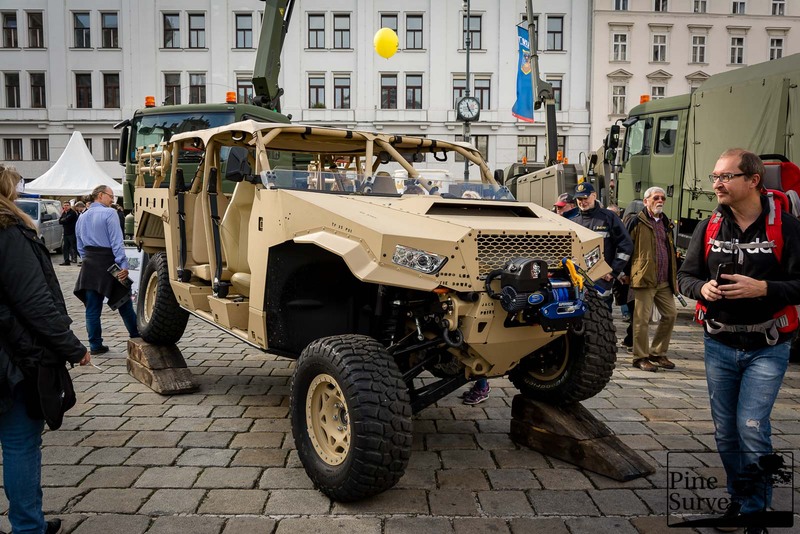 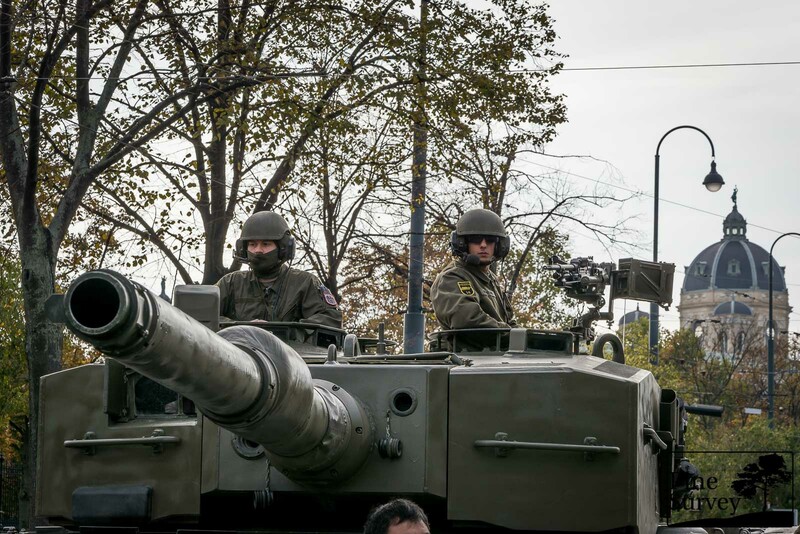 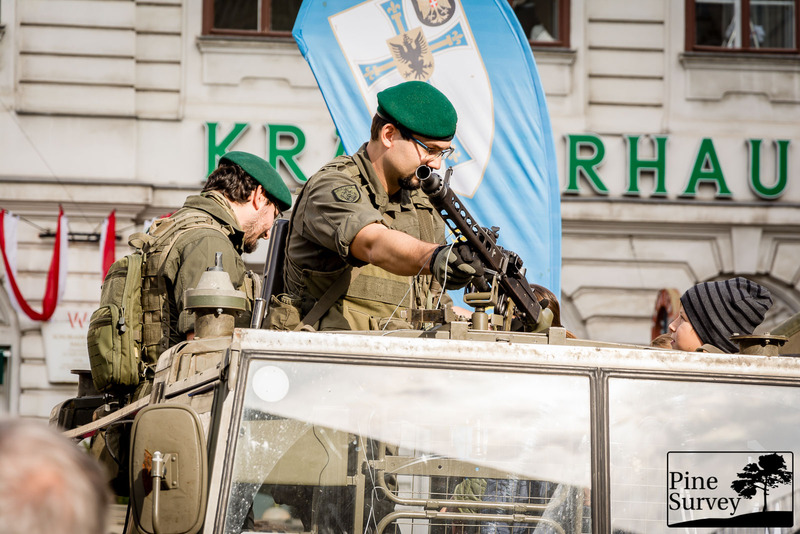 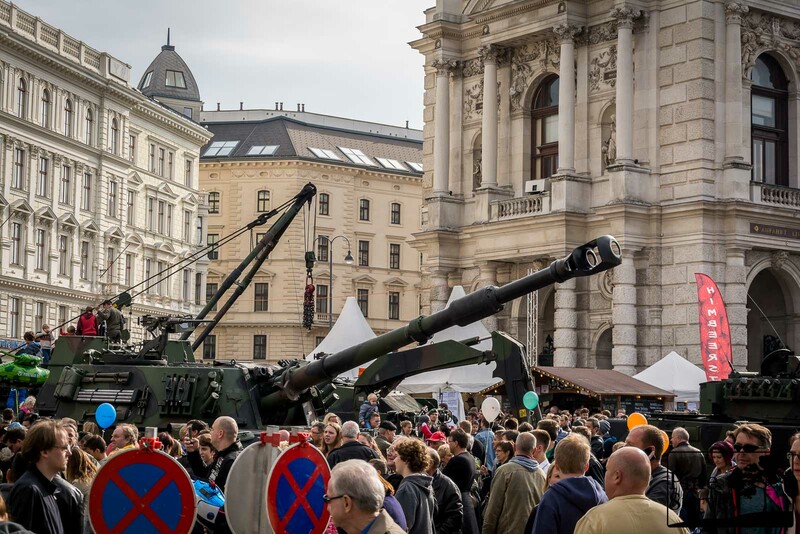 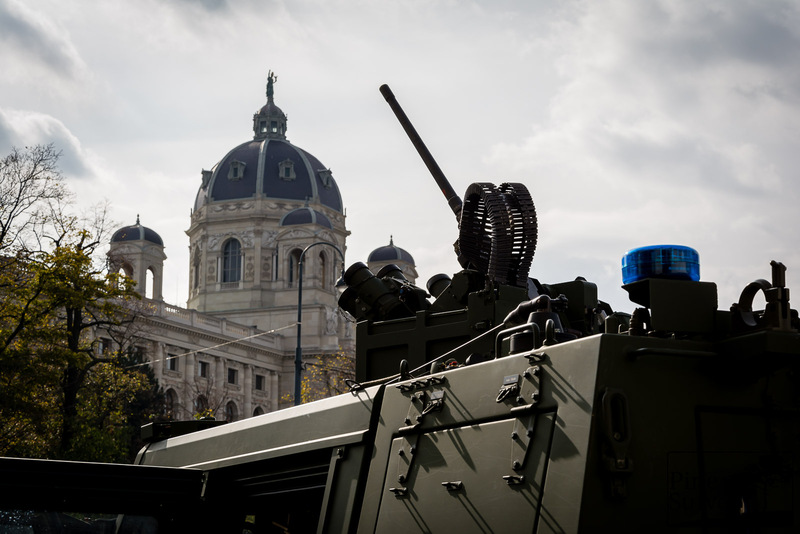 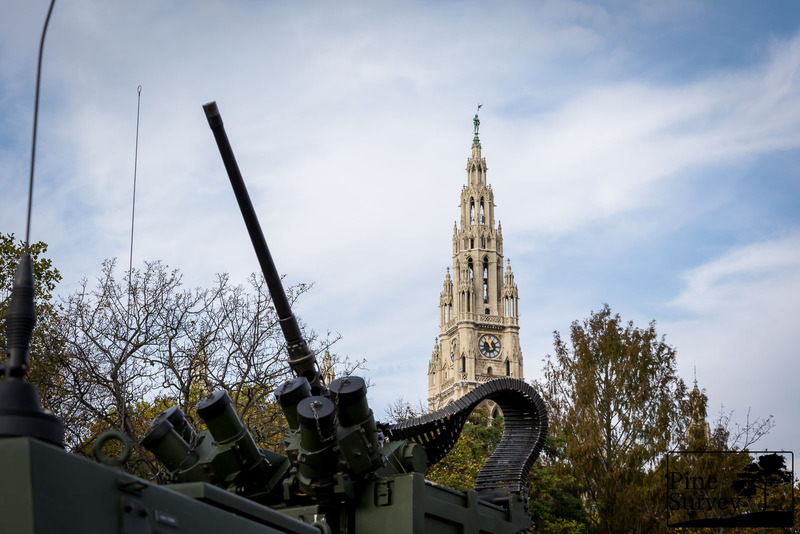 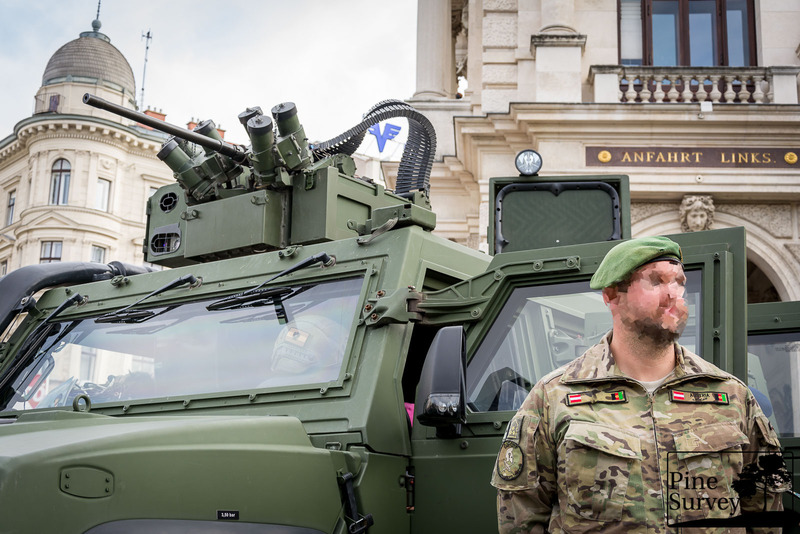 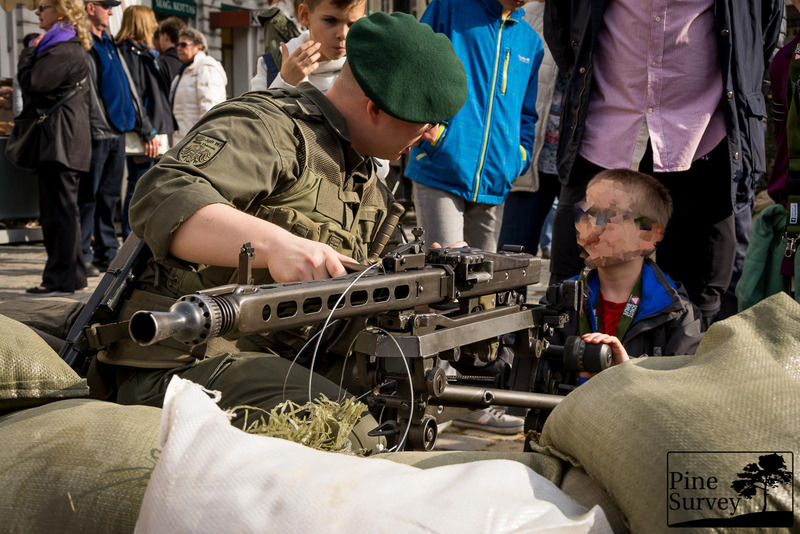 Every year Vienna is the stage for all kinds military, be it the Nationalguard, the Pioneers, the Tank divisions and our Airbourne Community together with the Special Forces. 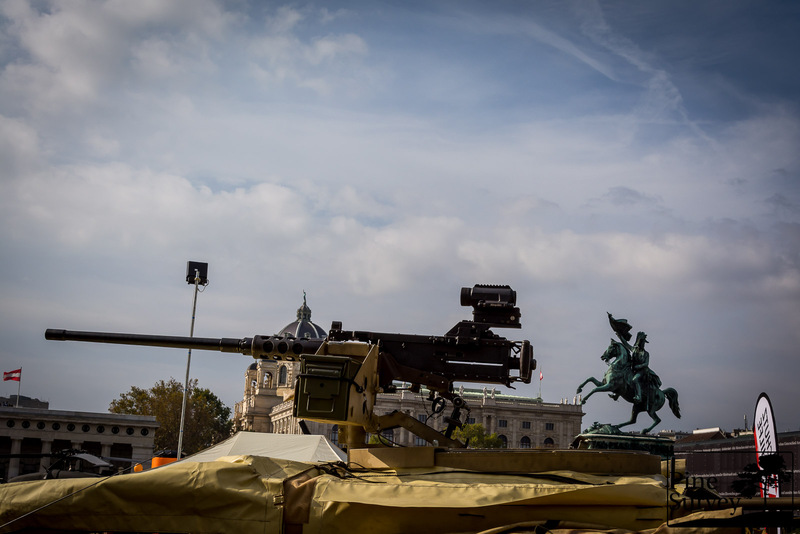 Here you will find some random snapshots I took while wandering through the city. 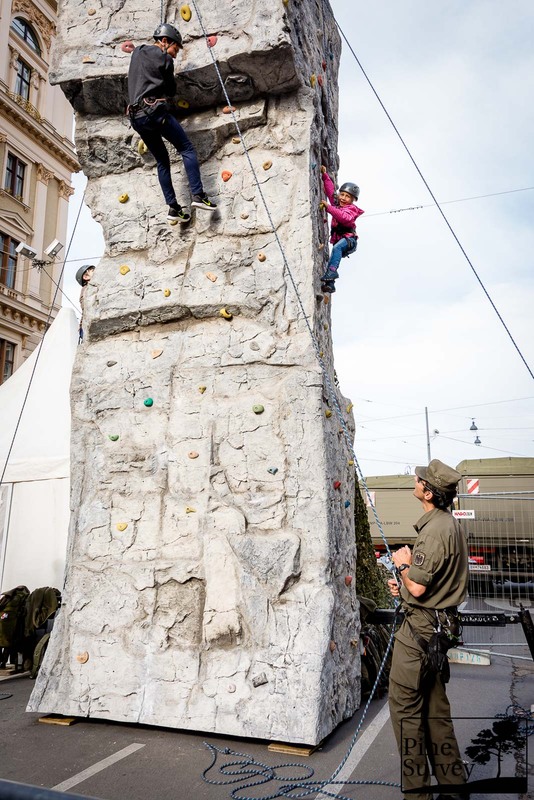 I was hoping to get a shot at the new camouflage pattern, which was introduced by our Minister of Defence some weeks ago. 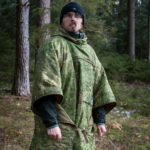 Unfortunately the Army did not take this opportunity to show this new type of camouflage. 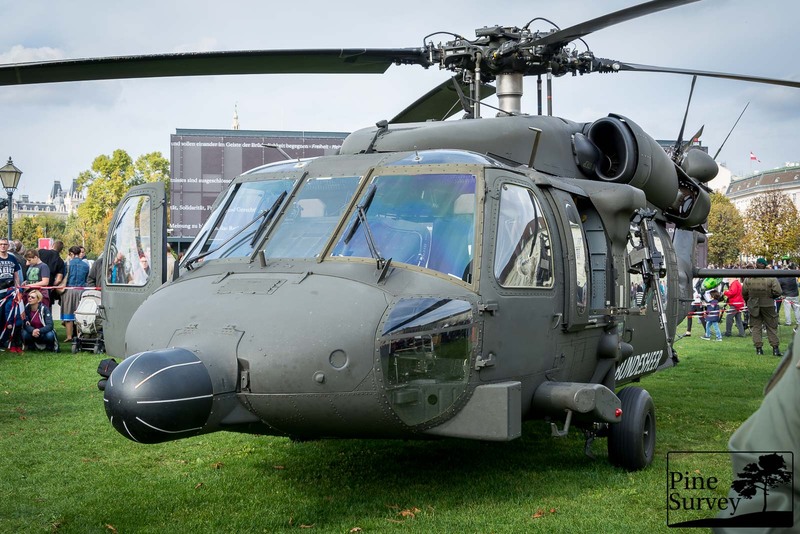 At least I did not see or find it, if it was there (I am only human and prone to mistakes). 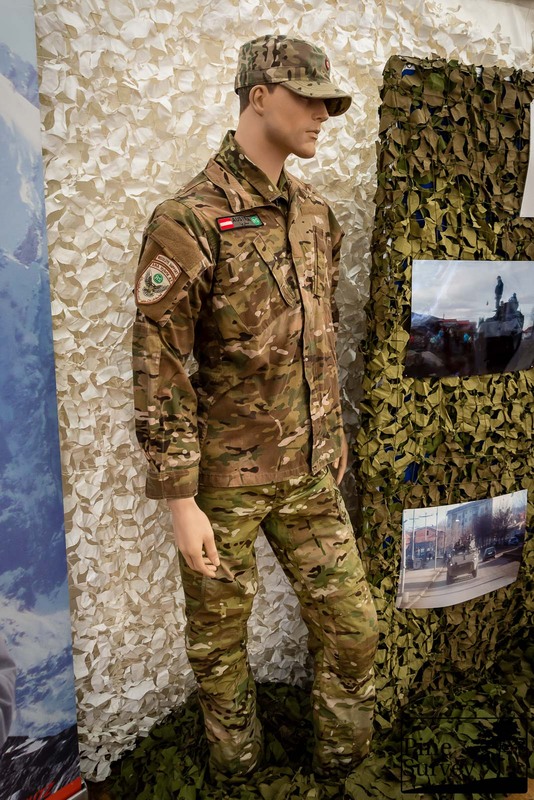 What was more interesting though, was the obvious shift to Multicam with several branches of the Military. 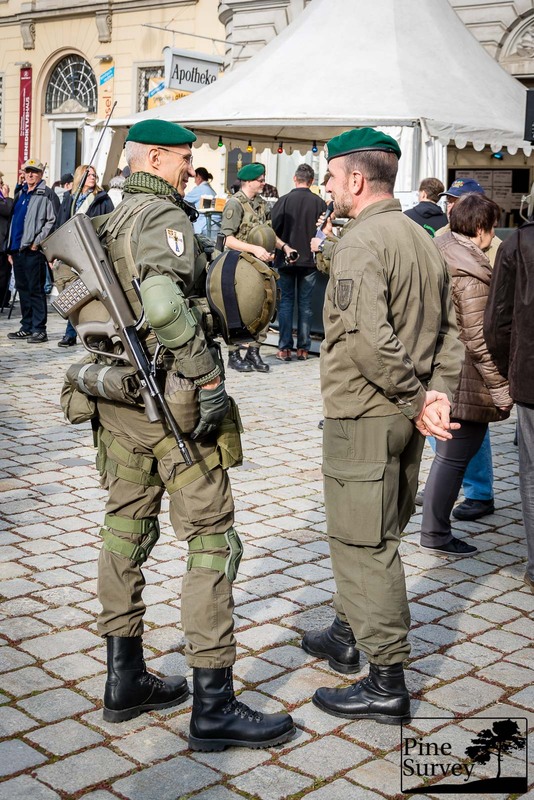 Even the Jagdkommando chose to wear Multicam, even though they have their own camouflage for years now, which seems to be used only for public events. 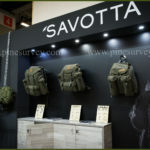 In any case, here are some pics, enjoy!